show MORE results . . . .: Seperated at Birth? 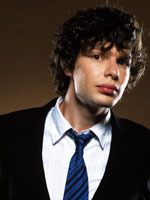 Guess I know what Simon Amstell does on his days off. Oh give me a break, he's sarcastic enough on the television.